There’s something to be said for a soothing cup of coffee or latte in a bustling shop! It’s all about a quick treat and break in your day whether you’re going solo or meeting up with a friend. 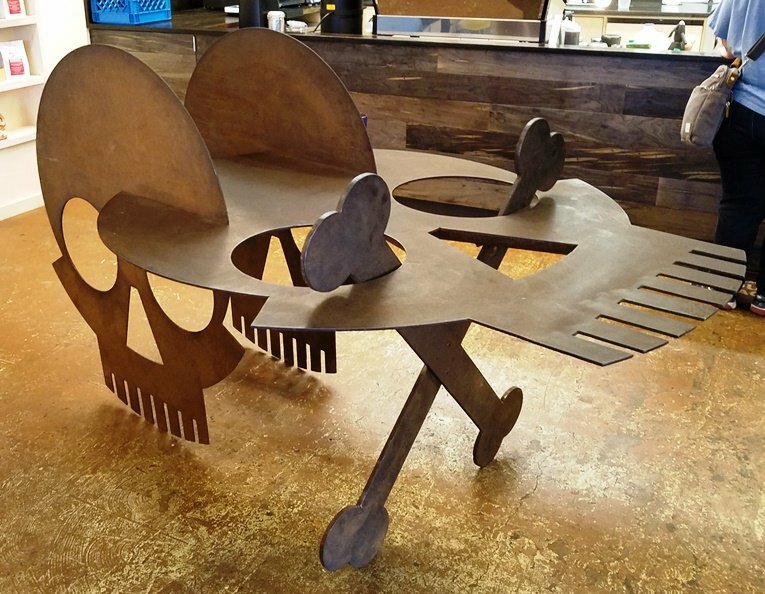 A good coffeehouse is as much a neighborhood meeting spot as anything else. 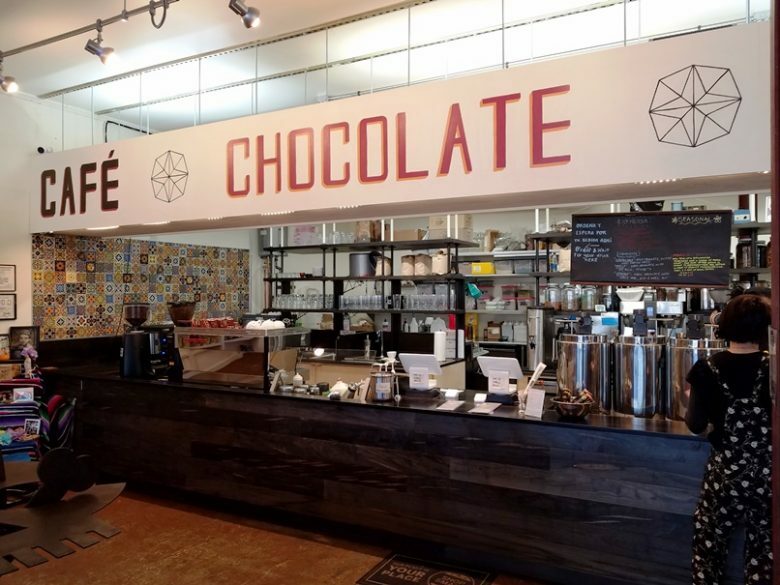 Out in the Lakewood neighborhood of Durham, you’ll find the latest outpost of the very popular Cocoa Cinnamon. And after a couple of visits, I’d have to say that I’m jealous of the Bull City and wish we could get one here in Raleigh, here’s why! 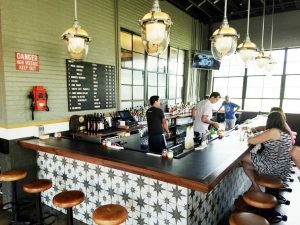 From the outside, Cocoa Cinnamon Lakewood is unassuming. Small patio out front, brick-faced building with some roll-up doors. Poke your head inside and you’ll quickly realize what it’s really all about! Cocoa Cinnamon stretches a long way back with plenty of space to chill out in. 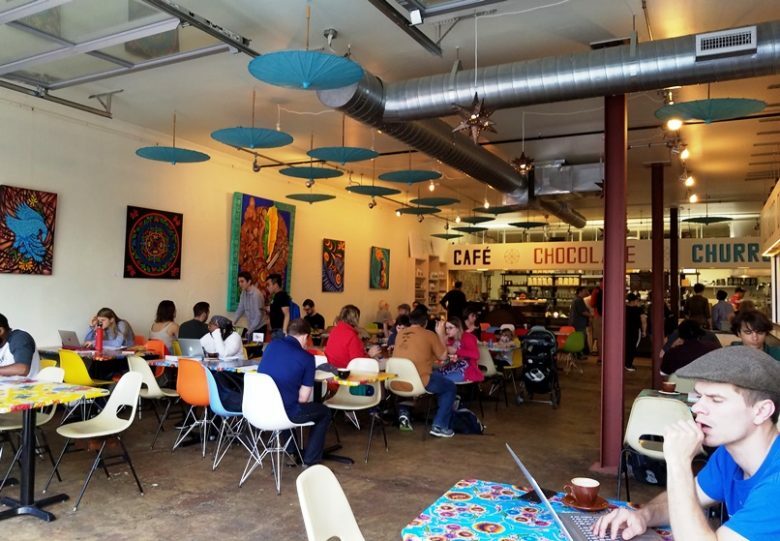 The bright artwork on the walls, cheerfully bright tables and multi-color retro plastic chairs give a bit of a fiesta feel to the space. All very basic and utilitarian, highlighted by the concrete floors and exposed metal beams. I head to the back of the space, past a coffee grinding area, to the order counter. 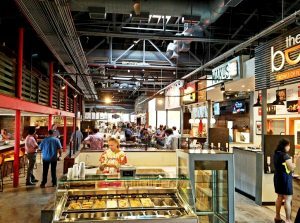 Cocoa Cinnamon has a small menu of gourmet coffees, lattes and hot chocolate along with the piece de la resistance: churros! Staying true to their Mexican roots, it all makes sense to me. A chalkboard menu shows off the beans for the day along with the specials. You may need to be a bit patient in line since Cocoa Cinnamon is quite popular and orders can get complicated. Over a couple of visits I had a chance to try one of Cocoa Cinnamon’s chocolate drinks, a caramelo latte and churros! And while I certainly enjoyed the sipping chocolate (deep, rich and not too sweet) and coffee drink, what really gets me excited are the churros! Fried fresh in front of you, choose from regular sugar, cinnamon sugar, cardamom or orange sugar, yummy! 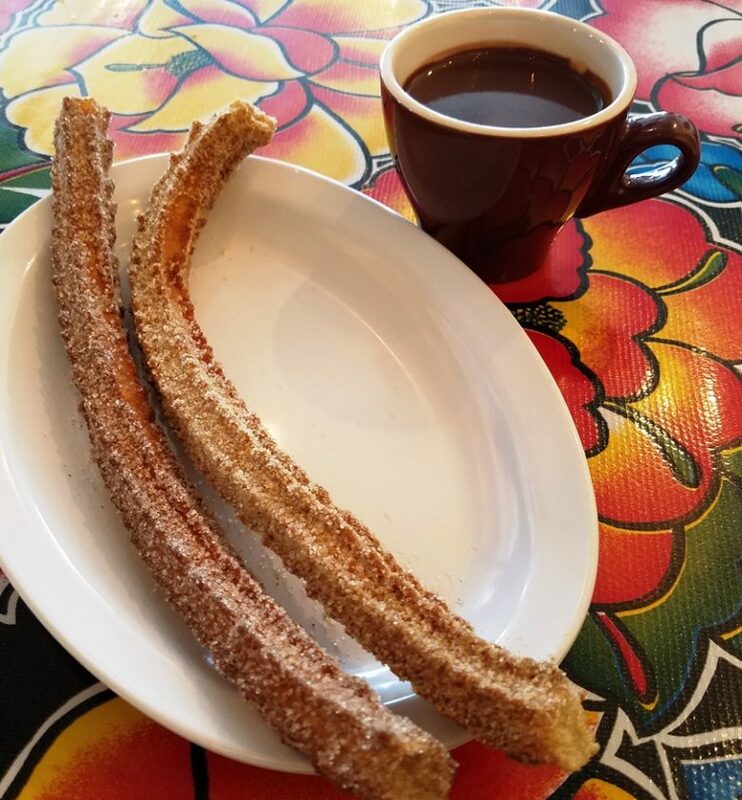 The churros come out nice and warm with a crunchy, star shaped crust wrapped around a soft, tender interior. A fun snack that’s great for dipping in your coffee or cocoa. 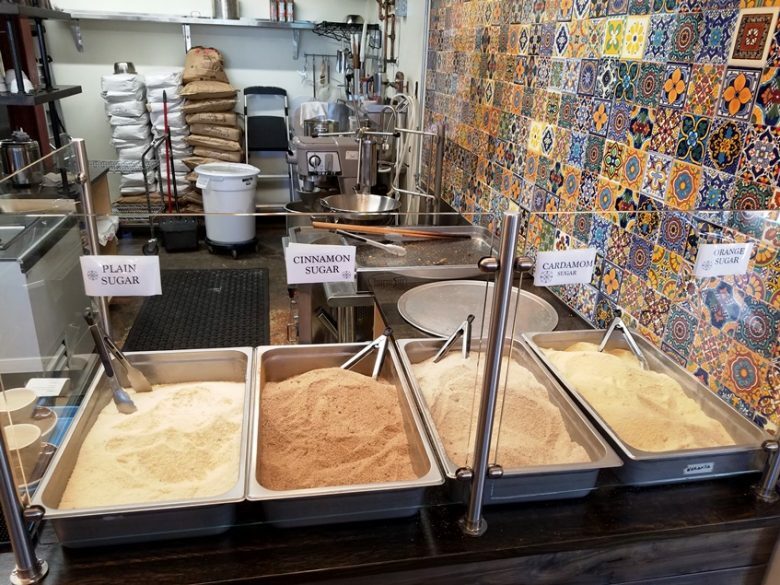 So while I may not be a huge gourmet coffee fan, I certainly do appreciate the variety and quality of the hot drinks at Cocoa Cinnamon Lakewood. And double bonus for the freshly made churros! While I’m not 12 years old, I can certainly appreciate these fresh, crunchy pastry sticks, especially with some great coffee. 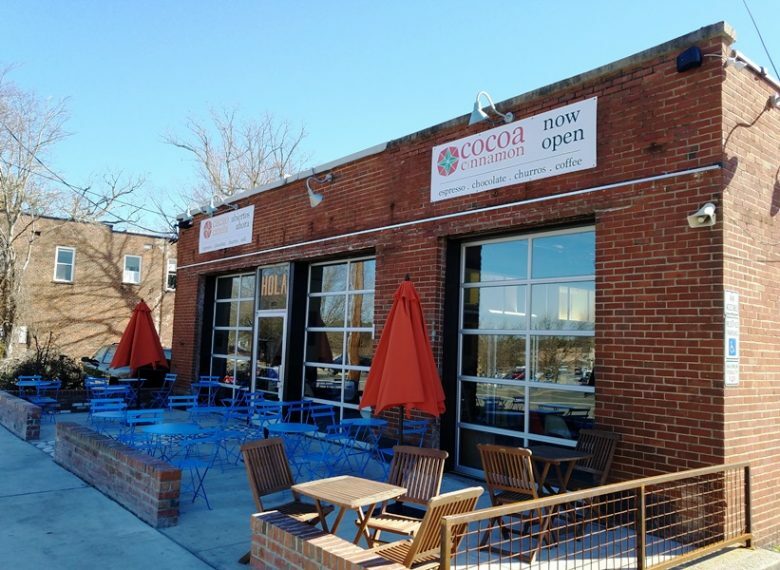 Thanks so much Cocoa Cinnamon for your third Durham location! If I ask nicely, can I get a Cocoa Cinnamon Raleigh sometime soon? !